Transmedia Marketing: From Film and TV to Games and Digital Media is the definitive film and entertainment marketing book title from Focal Press in the “American Film Market® Presents” book series, a premiere set of books on financing, distribution, law, and marketing to help the independent production community get their films and productions made. Focal Press is owned by the Taylor & Francis Group, and its sister imprint Routledge is one of the largest publishers on the theory and practice of media and the arts. American Film Market is the largest motion picture market in the world and is produced by the Independent Film & Television Alliance, the global trade association of the independent motion picture and television industry. Transmedia Marketing: From Film and TV to Games and Digital Media skillfully guides media makers and media marketers through the rapidly changing world of entertainment and media marketing. Its groundbreaking transmedia approach integrates storytelling and marketing content creation across multiple media platforms – harnessing the power of audience to shape and promote your story. Through success stories, full color examples of effective marketing techniques in action, and insight from top entertainment professionals, Transmedia Marketing covers the fundamentals of a sound 21st century marketing and content plan. Anne Zeiser has earned the industry’s respect by taking a strategic approach to everything she does, and this book is no exception. With Transmedia Marketing, you’ll be fully versed in the art of marketing film, TV, games, and digital media and primed to write and achieve the winning plan for your next media project. Courtesy of WGBH Educational Foundation. 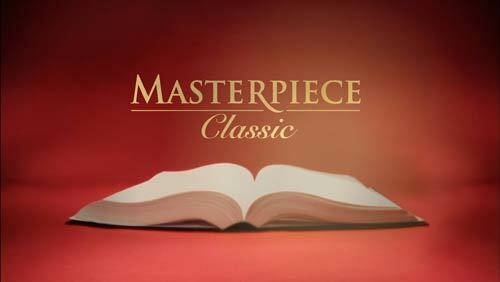 Masterpiece and Masterpiece Classic are trademarks of WGBH Educational Foundation. Transmedia Marketing is an invaluable guide on how to really connect with audiences using a combination of marketing and storytelling in the transmedia age. Chapter 10 What’s in a Name? Transmedia Marketing pioneers the powerful idea that successful entertainment projects must blend storytelling and marketing across multiple platforms. Creatives, business execs, and marketers alike will devour this book’s clear guidance and real-world examples of how to shape a project so audiences will love it, participate in it, and share it. 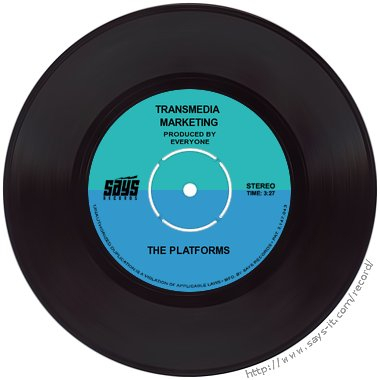 Transmedia Marketing is an in-depth, authoritative, and extremely timely survey of multi-platform marketing in the age of pervasive communications. Anne Zeiser has a unique understanding of the vital role that narrative plays in connecting a mass audience with your content or brand, and her advice for how to close that circuit is some of the best I've seen. There is more than a little bit of secret sauce contained in this book. Anne Zeiser has earned the industry’s respect by taking a strategic approach to everything she does, and this book is no exception. It takes full advantage of Anne's deep experience and expertise in 21st century transmedia marketing. The Transmedia Revolution has changed not only the way screenwriters sell their product, but even how they create it. Anne Zeiser's new book is an absolutely essential guide for writers as they navigate their work through all these new and sometimes tricky media platforms to success. Filmmakers may know their craft but can become deer in headlamps when they hear buzzwords like “multi-platform” and “transmedia” marketing. What is it, why do I need it, when do I need it, and how do I do it? In this highly accessible book, they will find their answers, laid out in common sense language that is sure to allay a lot of fears – and foster some excellent new media! Transmedia Marketing is an invaluable guide on how to really connect with audiences using a combination of marketing and storytelling in the transmedia age. Anne Zeiser’s experience of both parts of this equation means this is a very helpful primer for both producers and marketeers. What does it really take to develop, produce and promote a major media project in today’s ever changing and increasingly diffuse marketplace? Not just what tools and platforms to consider, but how to design an approach that will deliver the flexibility, creativity and buzz that can set your project on a pathway to impact. Transmedia Marketing provides a firm understanding of cross-platform media design where each media component’s strength is complimentary and the focus is on the endgame: maximum impact. 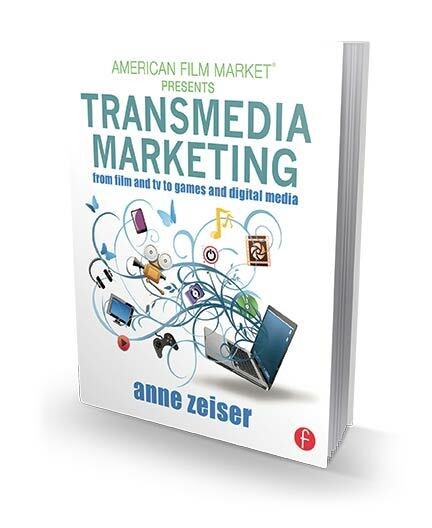 Transmedia Marketing, spawned from Anne's Transmedia class at Emerson College, is the first of its kind. As a student in her class, I discovered the potential of storytelling across multiple platforms. Her enthusiasm and passion for the industry carries over from the classroom to the pages of her book as she guides you from developing a project's various storylines through marketing and branding each platform. Listen to Anne, she's the best resource for your next transmedia endeavor!